The following dashboards are available to access and view from our Reporting portal, this data is retrieved in real-time from your Storman. 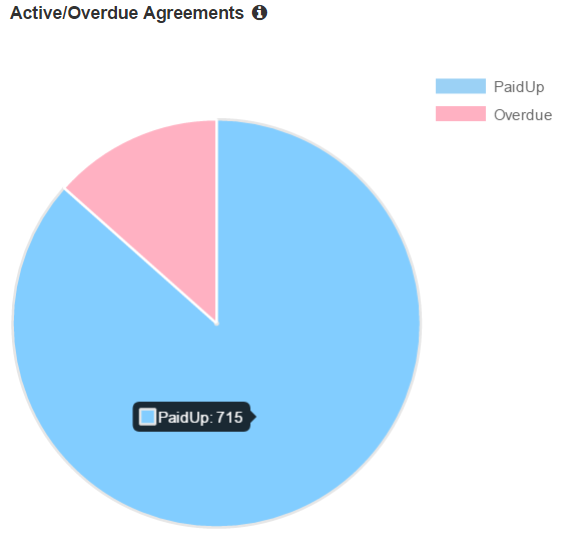 This chart shows the number of active agreements in Storman, that are either paid up or overdue. Agreements whose paid to date is either today or in the future will be considered paid up. Agreements whose paid to date is earlier than today will be considered overdue. 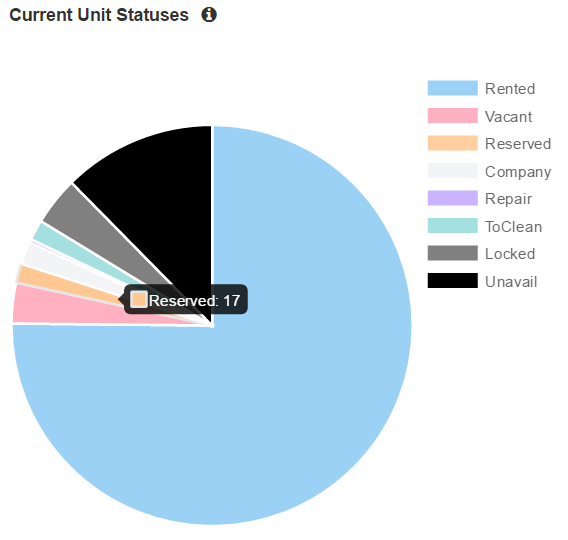 This chart shows the current number of units and their statuses, as at the time of logging in to Storman Reporting. 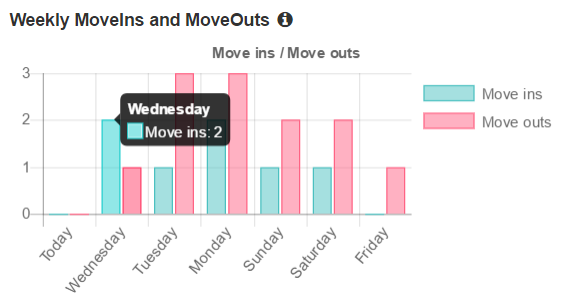 This chart shows the total number of active agreements who have moved in, and inactive agreements that have moved out in the last 7 days. 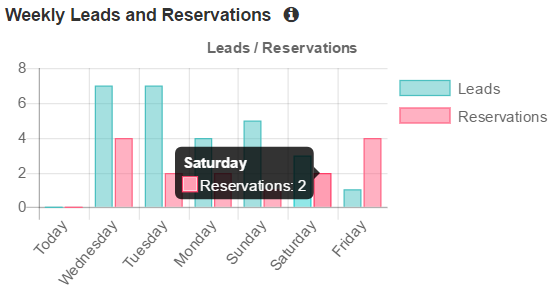 This chart shows the total number of Sales Enquiries and Reservations that have been created in the last 7 days. This chart shows the gross rental income for the facility. This matches with the Gross Rental Fees row under the Today column in the Key Statistics Report, if run for the end of that month. 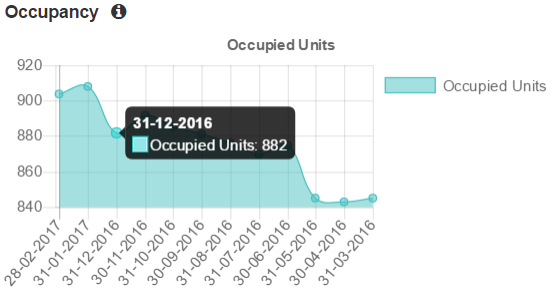 This chart shows the number of occupied units, for the end of the month. 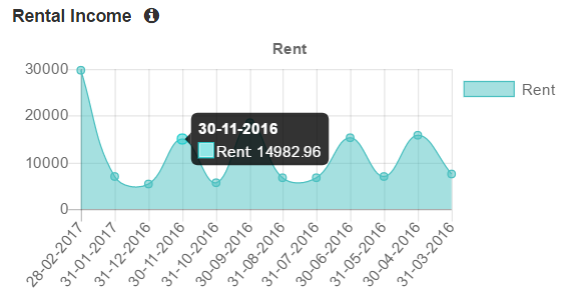 This will match the Rented row under the Today/Units column of the Key Statistics Report, if run for the end of that month.